Scalding can sometimes be a scary term. Think of molten coffee causing second and third-degree burns. That is why some people are afraid of the idea of scalding milk. The definition is wide, and while some understand it as burning hot, others know the right definition is heated to just below a boil. When you talk about how to scald milk, you are talking about the second definition. Scalding means bringing the milk to a near boil and then cool it. The goal is to activate proteins during heating milk, which changes the taste and flavor a bit. Scalded milk is great for cakes, bread, and anything else with yeasts. It makes your recipe fluffier and lighter. Back in the days, the main purpose of scalding milk was to kill bacteria, but today, given that milk is pasteurized, we use scalded milk for secondary reasons. Scalding milk kills the whey protein, allowing the gluten to stay intact. Scalded milk will also help dissolve sugar and yeast, which will make your doughs rise better. There are two ways for scalding milk, one in the microwave, and one on the stovetop. The latter is more time consuming, but most people prefer to use the stovetop. Stovetop is usually the first option when it comes to how to scald milk. Some say it is more practical, and some just do not have a microwave in their home. Either way, here is a step by step guide on how to do it. Scalding in a microwave gives you less control over the temperature of your milk. In addition, you need utensils that are microwave-safe. Can you use skim milk for scalding? Yes, you can use other types of milk, including skim milk in your recipes. If the recipe calls for whole milk or milk, you should assume it is full-fat milk. You can substitute skim milk for whole milk in 1:1 ratio. No, almond milk, rice milk, or any other types of milk that are not dairy will not work. Simply put, they do not have the same proteins as regular milk, and the taste/flavor will not be the same. Powdered milk is another option you can use. Powdered milk is just a dehydrated version of liquid milk, so it has the same proteins as whole milk. Where can I use scalded milk? You can use scalded milk in any recipe that calls for milk, especially those with yeast. Those are the ideal options for scalded milk. Scalded milk will make your final product lighter and fluffier, so have that in mind before using it instead of regular milk. 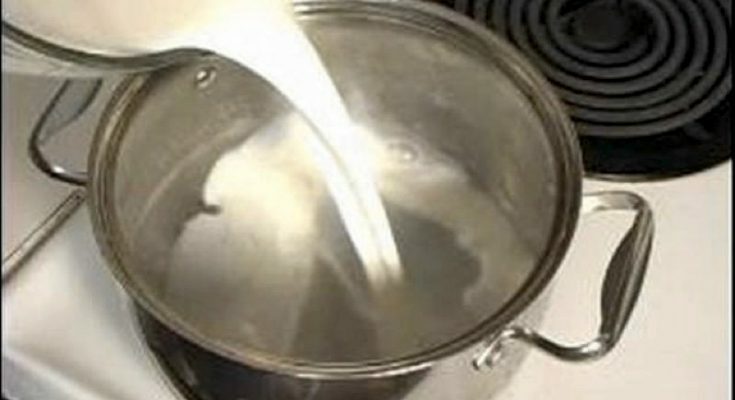 There are a number of things that can go wrong when you are trying to scald milk. You are there to ensure they do not happen.